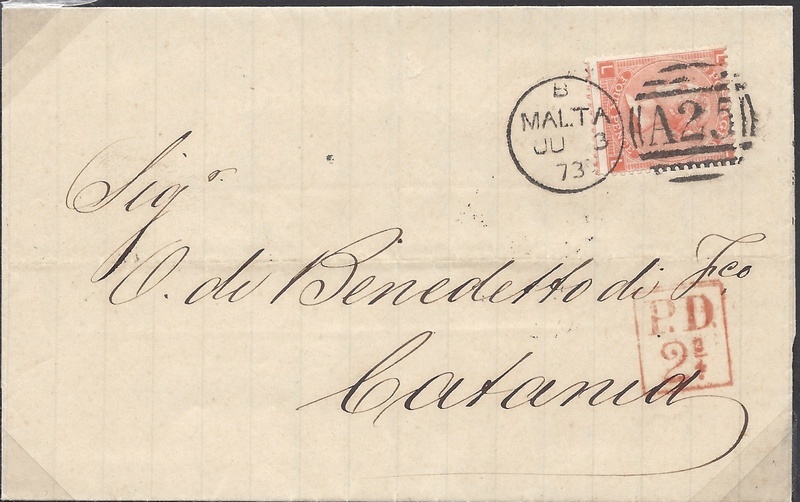 1873 Entire to Catania franked by a 4d Dull Vermilion, SG 93, Plate 13, tied by a very fine MALTA 'A25' duplex, Code B, and showing a red-boxed 'P. D./2¾' accountancy mark. Attractive.